Photorejuvenation is a modern technique used for correction of ageing skin changes caused by reduced production of collagens. It helps to eliminate the pigmental changes caused by sun exposure – i.e., sun spots, ageing spots, freckles, melasma. 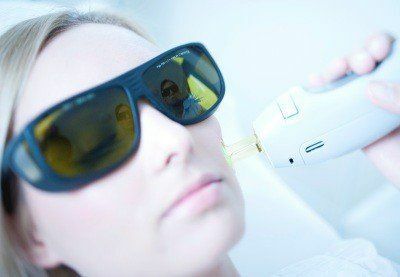 Photorejuvenation improves skin structure, laser beams smooth fine skin lines and wrinkles, contract skin pores, eliminate pigmental spots and, thus, restore the smooth young skin colour, stimulated by collagen synthesis – the unevenness of skin relief after acne marks is eliminated. Skin becomes elastic and smooth. Laser rejuvenation is attributed to simple and skin-friendly procedures. It has no traumatizing effect, is a short procedure and causes no side effects. 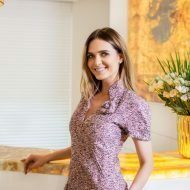 The procedure does not include elimination of upper skin layer – laser pulses directly stimulate fibroblasts that stimulate the production of elastin and collagen. In this way, the new collagen is synthesized. The skin is cleaned carefully. You will be given eye-protecting goggles. Due to DCD integrated cooling and skin protection system, no cooling gels are required. Light applicator is placed on skin providing short relaxing laser pulse and a sense of warm tingles. Laser applicator is displaced to a nearby skin area until the entire area is affected. How the skin looks after the procedure? The skin will gain redness and you will feel the sense of warmth. The redness and sense of warmth are normal skin reactions that will pass within several hours after the procedure. If the treated area contained pigmental spots, they will darken and fall within several days leaving the skin smooth. Skin stretch will appear within 24 hours with intensifying effect after each procedure. Some patients can notice light swelling around cheekbones that can last up to 72 hours. Photorejuvenation is more of a healing rather than a cosmetological procedure – the bloodstream becomes more active after procedure, the collagen synthesis improves and natural regeneration of skin is stimulated (rejuvenation). Due to the aforementioned reasons, the course of procedures is recommended in order to eliminated skin wrinkles and prior to planned plastic surgery or for faster heal of stitches after the plastic surgery as well as scar prophylaxis. The procedure effectively restores skin ageing signs. Before the procedure, you will discuss your expectation and desired results with the doctor. The combination of various procedures is possible – the clinic provides photorejuvenation, laser elimination of pigmental spots, rejuvenation by using light diodes, hyaluronic acid injections, mesotherapy, biorevitalization and peeling. The doctor will consult you on which methodology would be the most effective in your specific case.